But guess what? I do enjoy eating granola. From time to time, that is. I’m one of those people who will plow through half a box of cereal in a morning because it’s SO good and I just can’t stop. And even though this granola is still packed with nuts and sugars, and stuff like that, it just feels better. Because it’s homemade. AND it has pumpkin in it. 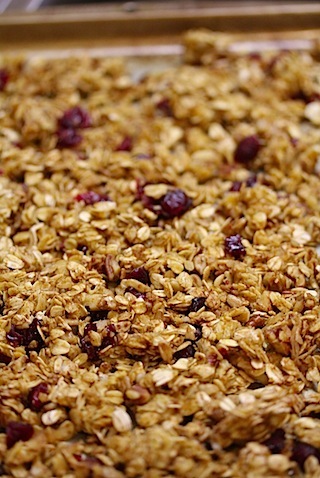 Yes, it’s cranberry pumpkin granola, making it your perfect, “hey, it’s November and it’s getting cold and I feel the need to store food in my cheeks like a chipmunk.” Just me? All I’m saying is that it’s the perfect seasonal snack. And it’s super duper quick and easy, too! 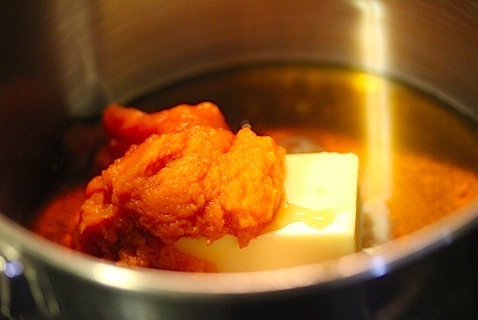 Melt the butter, pumpkin, and maple syrup in a saucepan. 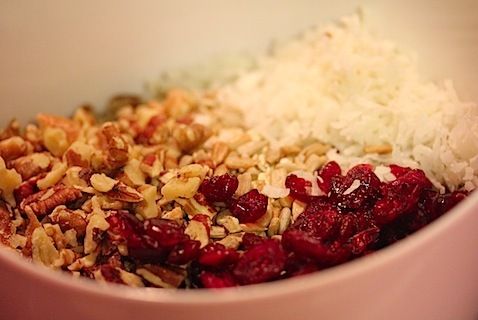 While that’s cooking, get out a large bowl and combine the oats, sunflower seeds, cranberries, nuts, and coconut. 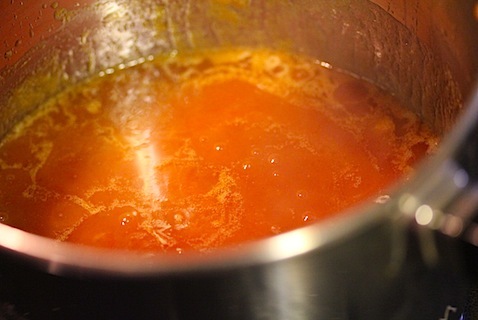 And pour the pumpkin “sauce” over the oat mixture. Add in the spices and salt and stir everything together. Grease 2 medium baking sheets with butter. And divide the granola on the two sheets, spreading into one layer. Bake for 45 minutes at 300 degrees. But for best results, make sure you stir the granola every 15 minutes or so. And rotate the pans if needed. And now? You have homemade granola! 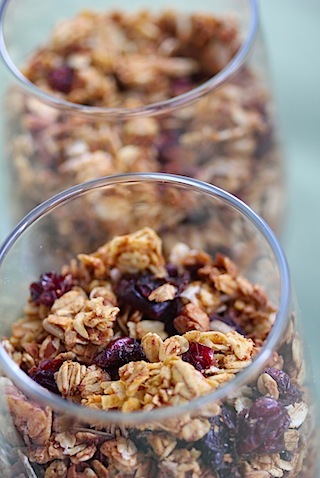 Cranberry pumpkin granola at that. You didn’t think I was really going to let the pumpkin recipes go just yet, did you? This might not necessarily be an “orange” recipe, but it does use my favorite orange ingredient! I’ve been thoroughly enjoying having 6 cups of granola around the house. And even though it’s awesomely delicious, I haven’t been pigging out on it. Maybe it’s because I put my tender loving care into making it myself? 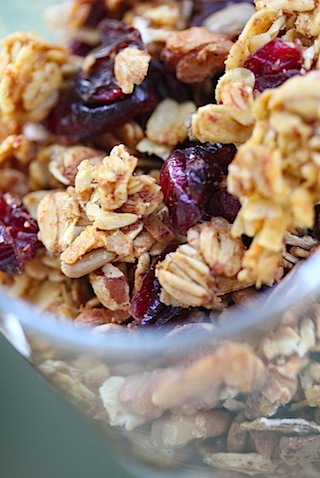 This cranberry pumpkin granola is so good, if you packed me a big bag of it, I might even go camping with it. Just kidding. (and yes, I feel the need to say I’m kidding or else Chris, my sister, and brother-in-law will have my camping bag [pink Vera Bradley duffle] packed for me before I can even get this granola in the oven. Still. Not. Happening). That said, this granola is pretty darn good. And I’d totally sit around a campfire and eat it or snack on it while on a hike. And then head back to my own super comfy bed for the night. And my UNH sweatpants and Ugg slippers. Wait, it’s November. It’s cold. I’ll settle for eating this in front of the fireplace. FINE, I don’t have a fireplace. The heater will do. 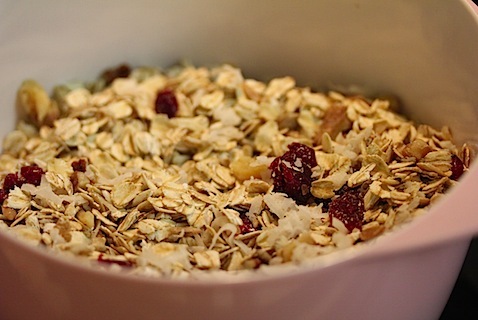 Are you a “granola” person? 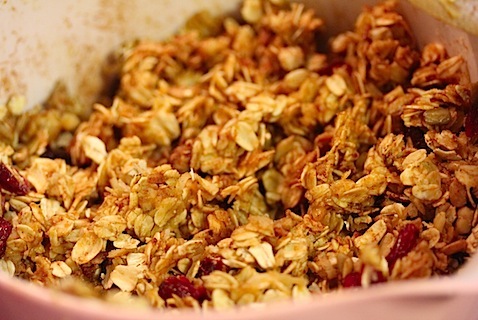 36 Responses to "Cranberry Pumpkin Granola"
That looks SO good. Boy, am I ever a granola person. I could swim in a tub of it all day long. I love granola. I do not camping. In fact, I’ve never been, and I don’t intend to. Would I rather sleep in a bed in a cozy room or in a wet, smelly tent? Hmm… let me weigh my options. I do love granola, though I refuse to keep it in my house as I will eat it for every meal! And it’s high in sugar. That said, pumpkin is one of my top three foods, so I may have to make an exception and whip a batch of this up! Oh my, this does sound fabulous. I might just have to mix some pumpkin into my next granola batch. Thanks! This is PERFECT for All the extra pumpkin i have lyign around!!! thank you! 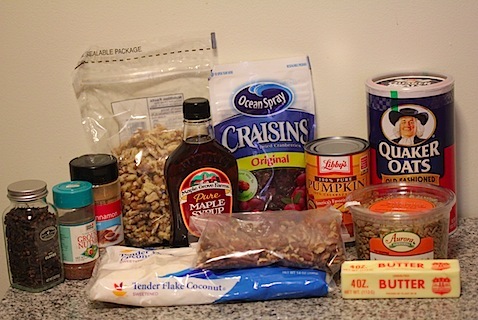 As an earthy/crunchy person heading out for a big hike this weekend – I’m SO EXCITED to make this granola!!!! Awesome! Granola is one of my fave things to make when I have the time and, quite frankly, seeing this recipe totally trumps the one I use often. Will have to try it this weekend! I’m with you and never want to go camping…although I recently added it to my 30 by 30 list for next year! That being said, I adore granola and love eating with cottage cheese in the morning! i want to preserve it for allllllllll the people that love camping outside. but i’ll take a bed, thanks. 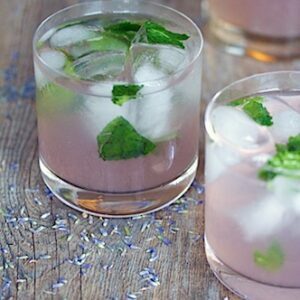 ha, I love this post…and this recipe! Delicious! hahah- “crunchy” is apparently a new england term. I used it when I went off to school and people were like…umm what? I am a little “crunchy”. I enjoy hiking and overnight camping. And I am granola obsessed. Couldn’t make a delicious parfait without it. 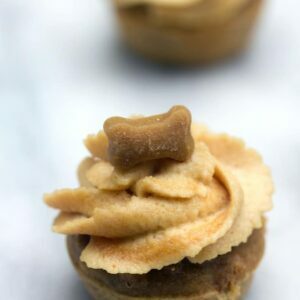 I need to try making some using pumpkin- a great wet ingredient without all the fat! I knew I liked you guys; I have the “I love not camping” print as a mug and notebook 🙂 I do love granola though; and this one looks delish! I am definitely a granola person… and not so much a camping person too. This recipe looks awesome, and I would run to the kitchen and make it right now with my leftover pumpkin puree if I had any oats left in the house! Umm you had me at pumpkin. 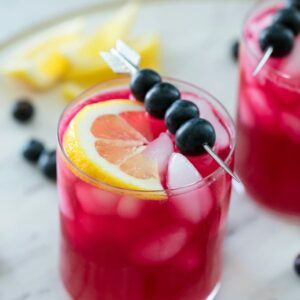 and cranberry. and granola. making this now. and not to go camping with, because i hate camping. no thank you. i’d rather stay at the hilton. this granola looks pretty and sounds amazing! You are missing out! One of these days, Chris, Adam, and I will kidnap you for an overnight camping trip….. just wait! I love granola! Too much! I always eat way more than I should. This is one I wouldn’t be able to stop eating with the pumpkin and cranberries! Addicting! Haha, I’m not a camper either. I went on a camping trip, it poured rain every night which wouldn’t have been so bad except that the tents leaked. As a result, there were puddles of water on the tent floor, my sleeping bag was soaked, and it was drizzling inside the tent. Needless to say, “I love not camping” too. I’ll take that pumpkin granola though. There’s a pumpkin linkup going on at Moms Crazy Cooking. You should really go and link this deliciousness up. I am TRULY not a camper either. I went camping once in my life and after realizing that I couldn’t get a hot shower after spending the night in the cold, I abandoned any thoughts of camping ever again. I need my hot showers. This granola does sound delicious, though. But I mean, it’s pumpkin flavored so how could I NOT love it? I love camping, but I don’t eat granola very often. 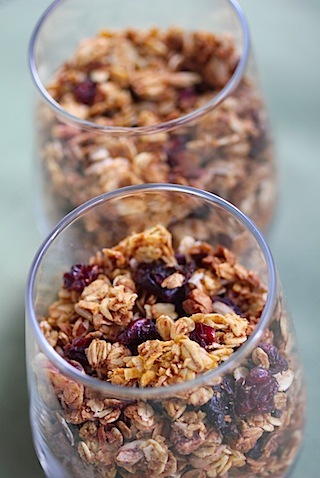 Cranberry pumpkin granola just might change my mind about granola, so I’ll definitely give it a try! It looks addictive. That looks fantastic! Love the pumpkin-cranberry combo. Generally I am not a lover of granola, but I find it’s one of those things that tastes terrible from a box but GREAT when homemade! So I make it a lot. 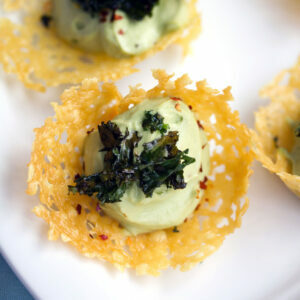 Bookmarking this recipe – thanks for sharing!! I did not read that last part. Let’s go camping! 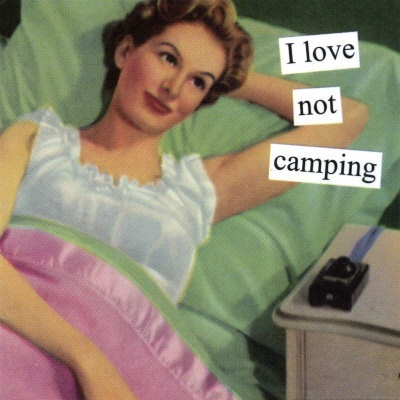 i love not camping too! the girl scouts experience ruined it for me haha. i don’t think i’m much of a granola person either but i would definitely like to try this kind! This looks SO yummy and professional, way to go girls : ) I think I may have to try…also perfect for the season! 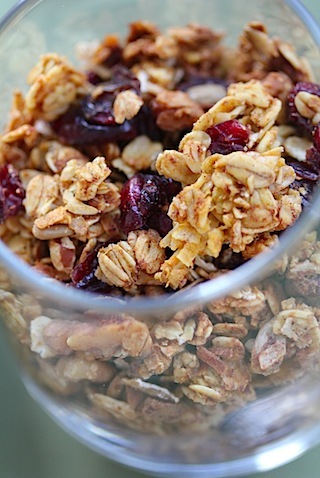 Omg I love homemade granola…and this looks seriously yummy! I’m a huge fan of granola! Typical breakfast is a few spoonfuls of Greek yogurt topped with massive amounts of granola. I’ve never made my own before though. I’ll have to try this out! Looks divine! Oh my gosh, I am planning a brunch for some pumpkin lovers, and this is going to be perfect! I’ll be making this tomorrow! This looks delicious! I love granola – but like you, I do not live granola. I enjoy a hike outside once in a while, but I don’t camp. I like real beds, walls, and roofs……and running water! 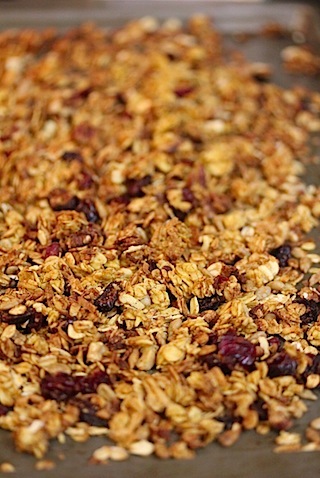 This is one of the healthiest granola recipes I’ve seen in along time, plus it looks delicious. So excited to try it – I have a batch in the oven right now!